Another house getting ready for hot summer days. 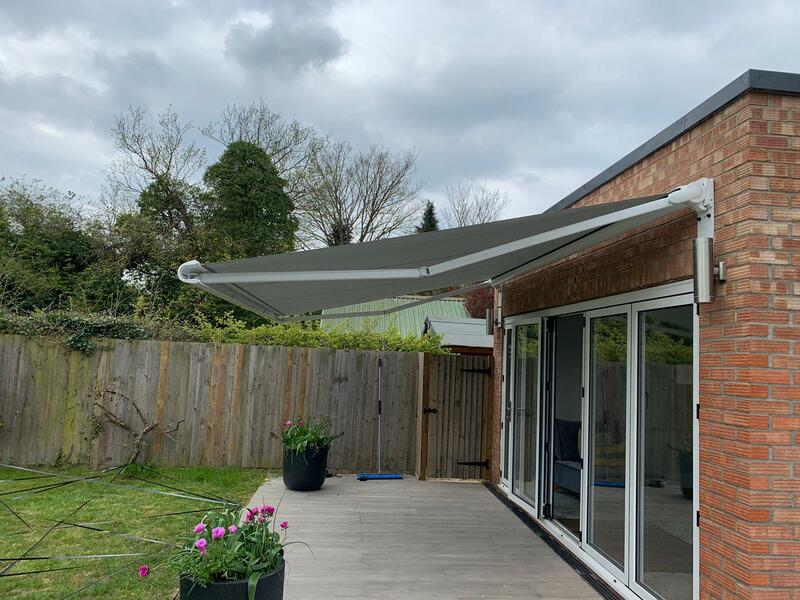 All fabric used on our awnings gives UV protection. There are hundreds of fabrics to choose from as we stock 5 collections of fabrics from the leading suppliers in Europe. 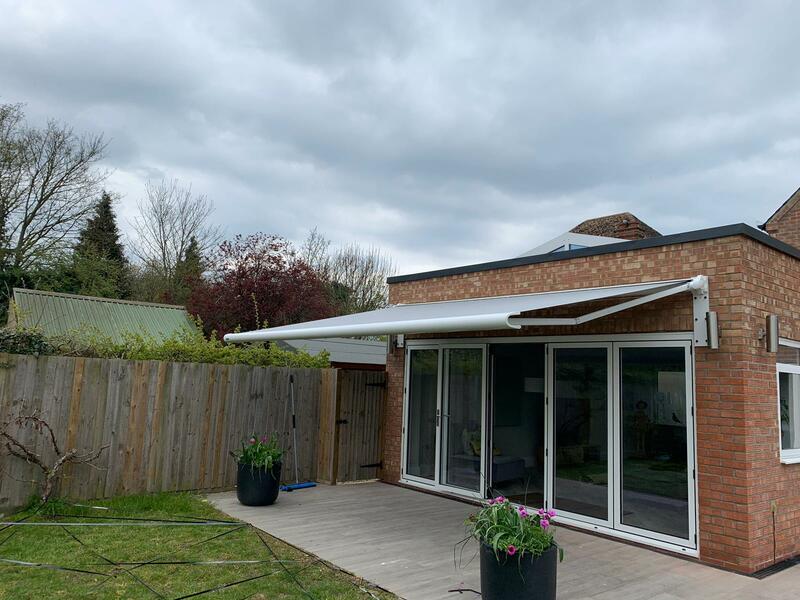 The Cassita II awning from Weinor is a versatile awning with the fixing brackets at the end. 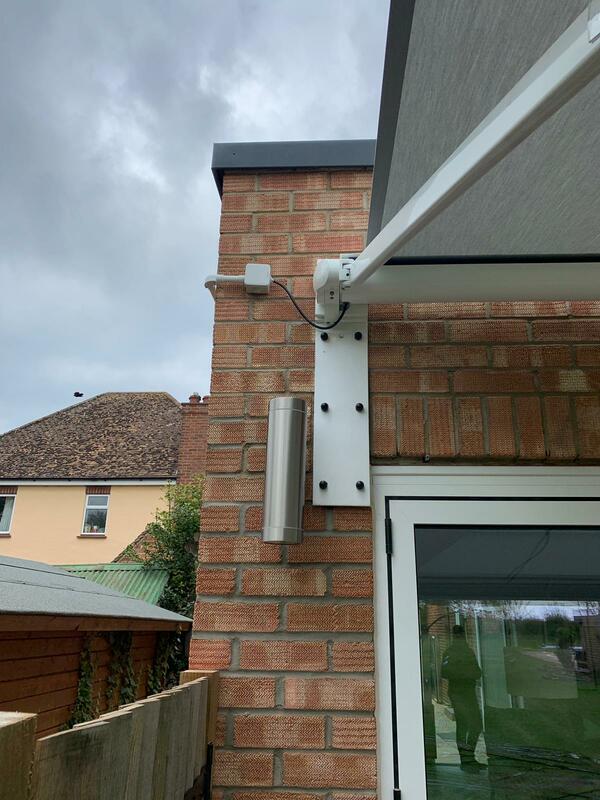 Sometimes, depending on the fixing height we have to install spreader plates on the wall to help support the weight of the awning. 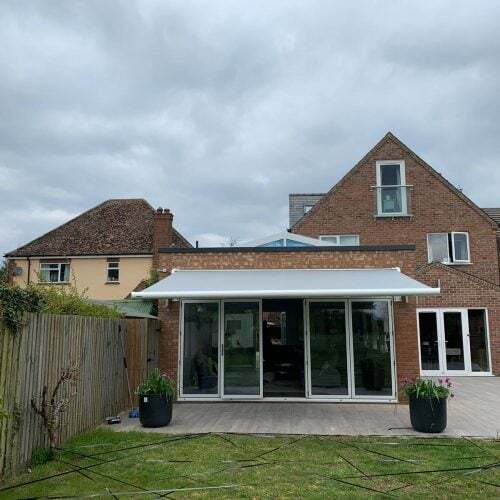 End fixed awnings can go up to 6 metres in width and project 3 metres. Also, with RTS technology you can add a sensor that will open and close your awning automatically. 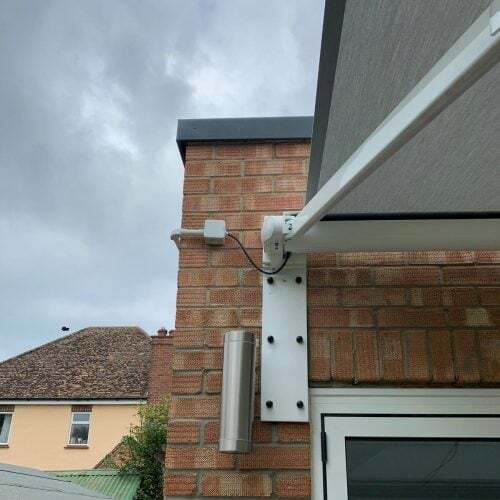 A sun sensor will open the awning when the suns rays hits the sensor. 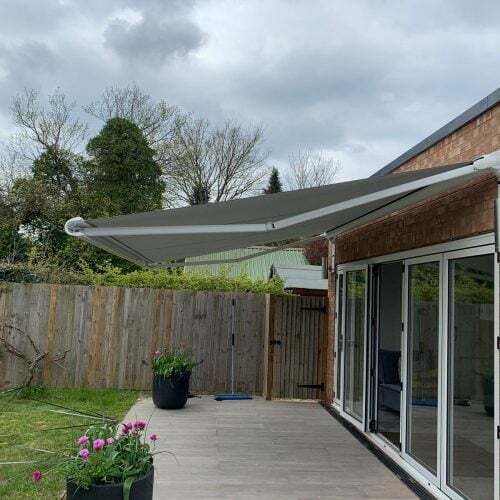 This means that even if you are not home, your room will remain cooler as the awning will block the sun whilst you are out. 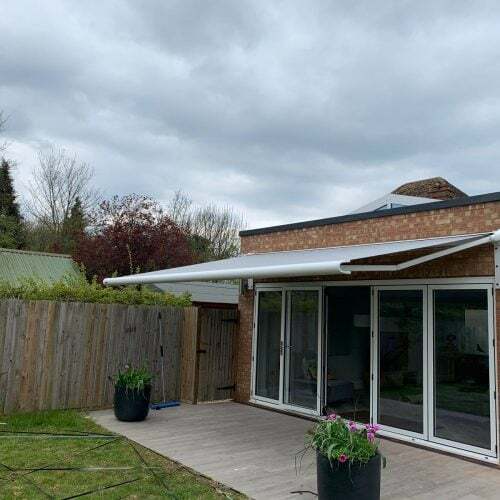 A wind sensor will close your awning if there are strong winds. 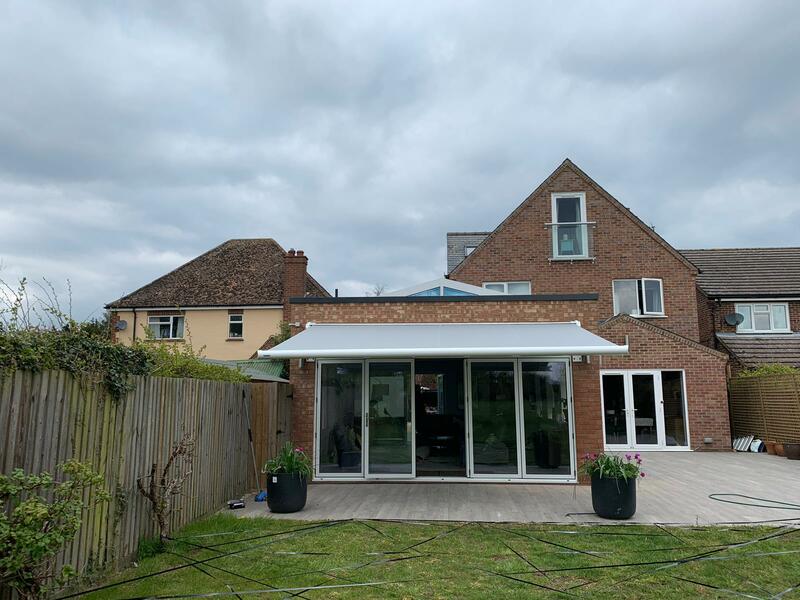 Get in touch if you need to get your outside space ready for summer.